Susan Weston McMillan graduated with High Honors/Phi Beta Kappa from the University of Florida with a Bachelor of Science in Psychology. She attained her Masters in Counseling Psychology from Nova University with a 4.0 GPA. She is a Licensed Mental Health Counselor and a Certified Addictions Professional. In 1992 she began a private practice in Bradenton, Florida with a satellite office in St. Petersburg in operation since 1991. 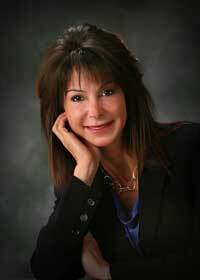 She specializes in domestic violence, substance abuse, adult children issues and couples counseling. In 1994, she established the first Duluth Model batterer’s intervention program in the Twelfth Judicial Circuit. Two years later, that program became the very first Certified Batterer’s Intervention Program in the state of Florida. Susan McMillan was a finalist for the Governor’s Peace at Home Award in 1997, and received recognition from Governor Lawton Chiles for her work. Her batterers program has been utilized by the Florida Department of Corrections as a model program for training purposes. Her current practice includes private individual counseling for couples and individuals, a certified batterer’s intervention program, a women’s domestic violence program, a Spanish batterer’s intervention program, an outpatient substance abuse treatment program, and a Spanish substance abuse treatment program. She is licensed by the Department of Children and Families for Outpatient Treatment and Intervention. Susan serves on the faculty of the Florida Prosecuting Attorney’s Association where she instructs prosecutors on the psychology on jury selection and trial strategy. She is a certified continuing education provider through the Florida Department of Health in the area of Laws and Rules as they pertain to the practice of psychotherapy, including confidentiality standards, substance abuse services, abuse reporting and mental health services. She is also certified as a continuing education provider for all Florida Healthcare Providers in the area of domestic violence and medical errors. She and her husband/ business partner regularly train mental health professionals, probation officers, judges, nurses, and attorneys throughout the state in these matters. Matt and Susan met when she was a victim of domestic violence and he was a young prosecutor in the State Attorney’s Office. Susan went on to develop the first certified batterers intervention program in Florida, become a jury trial consultant and develop other areas of expertise including addictions and medical errors. Matt went on to practice criminal defense, serve as county judge, earn his criminal justice addiction certification, open his own batterers intervention program, and develop expertise in HIV/AIDs, addictions, domestic violence and Administrative Law. Both have become continuing education providers with the Florida Department of Health. Matt McMillan is a former police officer, former prosecutor, former county judge, and is currently a Certified Criminal Justice Addictions Specialist and a Certified Batterers Intervention Assessor and Facilitator. He is also the co- founder of the Domestic Abuse Intervention Project (the first certified batterers intervention program in the state of Florida), and the executive director of Men’s Work, where he practices as an assessor and group facilitator for men who batter. He also has served as the clinical director of a DCF licensed substance abuse intervention and treatment facility. He has served on the Board of Directors and holds membership in a number of organizations aiding women, children, and victims of crime including the Women’s Resource Center, the Family Partnership Center, the Manatee Victim Rights Council, the Coalition of Batterers Intervention Programs of Florida and the Family Violence Council. He was the founder of the first Court Watch program in Manatee County. While serving as county judge, Matt instituted a number of new programs designed to hold perpetrators of domestic violence and substance abusers accountable for their actions, while ensuring their completion of much needed treatment programs. These included a Restitution and Compliance Court, HIV education for prostitutes and johns, mandatory abstinence and random urinalysis for drug and alcohol offenders, and credit toward community service for blood donations. His work received wide-spread praise from victim advocates, crime prevention groups, court watchers, prosecutors and defense attorneys alike. Matt McMillan is a certified continuing education provider through the Florida Department of Health in the area of Laws and Rules as they pertain to the practice of psychotherapy, including confidentiality standards, substance abuse services, abuse reporting and mental health services. He is also certified as a continuing education provider in the area of domestic violence and medical errors for all Florida Healthcare Providers. He and his wife/ business partner regularly train mental health professionals, probation officers, judges, nurses, and attorneys throughout the state in these matters. Amongst the organization to which they have presented are the Coalition of Batterers Intervention Programs of Florida, the Florida Association of Community Corrections, the National Association for Forensic Social Workers, the Florida Prosecuting Attorneys Association, and the Institute for Integral Development. 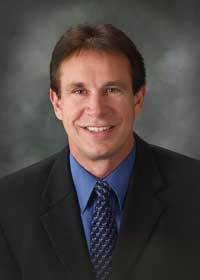 Dale has worked over 20 years with families and children. A Psychotherapist and Trainer for professionals throughout the state,Dale has been identified as an expert in dealing with chronic situations of dysfunction and trauma. As a member of the Florida Juvenile Justice Association he has served as an officer on the executive board and is past Co Chair of the State Conference and Training Committee. Dale has a wealth of knowledge related to trauma exposed families and individuals from abusive and traumatic backgrounds. He has shepherded programs throughout the state designing treatment models to address the dysfunctional results of life changing trauma including factors to address through unhealthy coping vulnerabilities, the impact on families, substance abuse and aggression. A member of Bayside Community Church he has three children and is married to his wife Elizabeth for 26 years. A University of Florida Graduate and Alumnae of Nova Southeastern Graduate School, Dale has made a career of reaching out to those that are vulnerable and developing systems to guide recovery and healing. 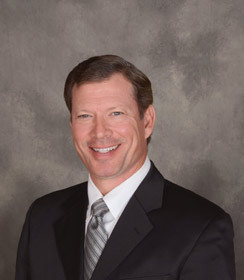 Dale has a private practice in Bradenton, Florida. Because of their unique background and experience, Matt, Susan and Dale feel passionate about the subjects they teach, especially domestic violence and addictions, as well as the need to educate the community at large regarding their impact on children, family, and society. They usually present as a team in a dynamic fashion that often involves audience participation.